Once the hot, humid days of summer have begun to fade into the past, fall greets us with cooler temps coupled with an unmistakeable beauty that cannot be rivaled. As it relates to outdoor family sessions, fall brings us shorter days, but a sun that hangs low in the sky throughout the entire day. This helps to mitigate the harshness that I see in the summer with deep, dark shadows. Instead, I get softer, lighter shadows, both on my clients and the background. There are a number of locations within the Raleigh-Durham-Chapel Hill area. But when it comes to Wake Forest, I make extensive use of the Southeastern Seminary campus. With large, expansive trees, great brick walkways, stone walls and beautiful architecture, the campus holds so many possibilities. And with it being such a short from downtown Wake Forest, it's a great starting or ending location to combine with the draws of downtown if clients want to have some pictures in a more urban area. Specifically, this was a late afternoon session with this young couple and their little boy. With the sun beginning it's dip behind the trees and buildings, the soft light was great to work with and easily supplemented with flash. I used one of my favorite modifiers for this image, the Wescott 43" apollo orb and my go-to flash for outdoor use, the Cheetah light 360x. Using a 70-200 on my camera, I laid on the ground with the flash set up camera left and slightly underexposed the background to really give some pop and emphasis to the my clients. One of things I really like about this image is the detail retention in the background. If you underexpose the image too much, the shades of dark grey would fall to black. It's a situation where knowing your flash and understanding the exposure really come into play. 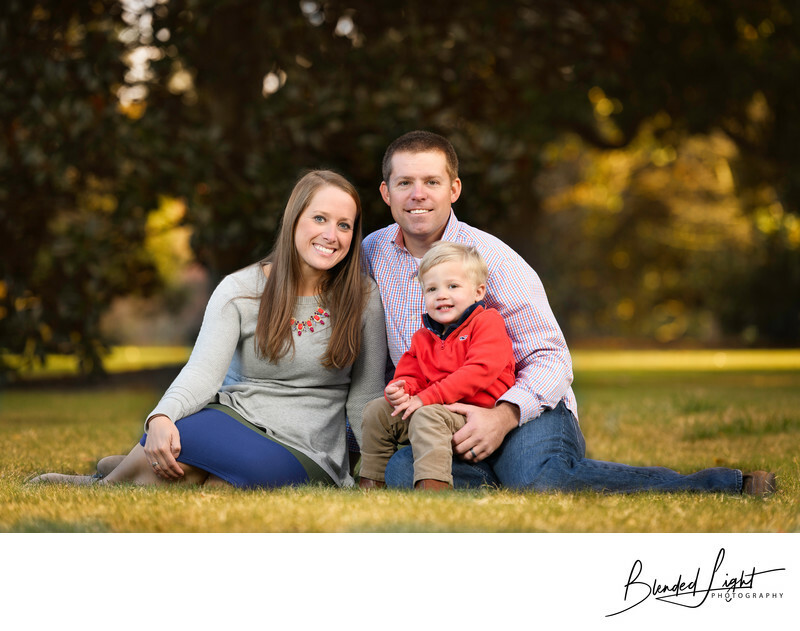 The result - a gorgeous family image created in the late fall afternoon. Location: 120 S. Wingate Street, Wake Forest, NC 27587. 1/125; f/3.5; ISO 100; 160.0 mm.